Packed with numerous exhibitions and interesting art fairs, November is always an interesting time period in the world of art. 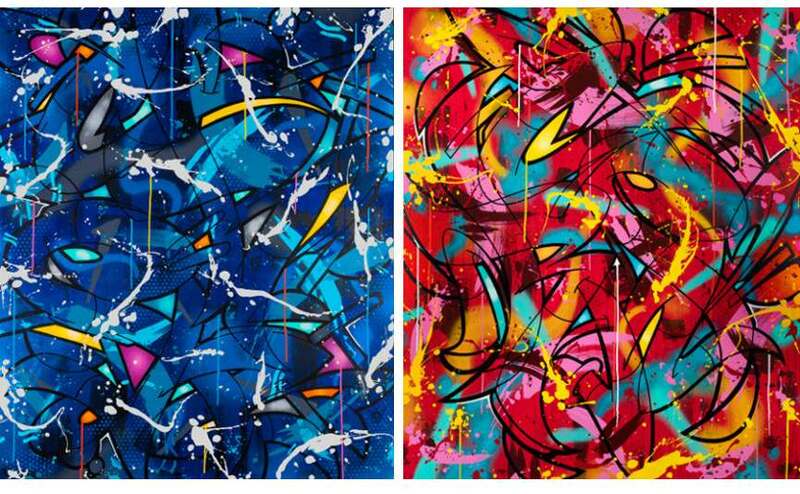 This November one dynamic duo art show is coming to Galerie Francis Noel and it will gather two prolific artists and friends whose works come from different sides of the exciting and diversified graffiti art spectrum. 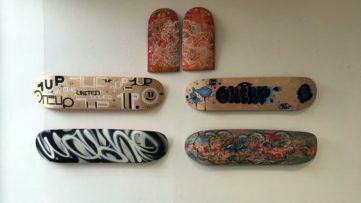 The exhibition appropriately entitled Duo Contemporarian Urbain #1 will gather the works of self-proclaimed “abstract graffiti constructivist” Nadib Bandi and skillful graffiti writer Michel Pietsch aka CREN. 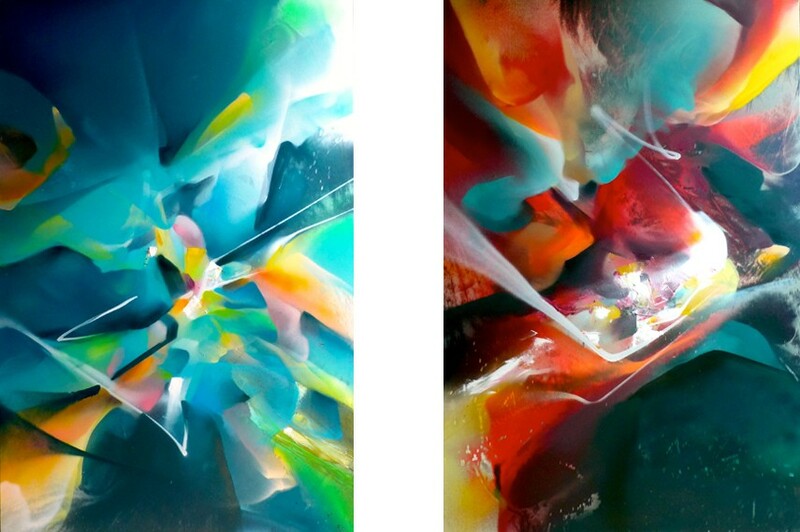 This captivating duo show will encompass both Nadib Bandi’s ephemeral abstract compositions as well as CREN’s wildstyle graffiti and fashion-inspired art pieces. Michel Pietsch also known as CREN is one of those graffiti writers whose work can be labeled as truly international. The artist spent last 27 years decorating the walls in 14 countries located on 3 different continents. 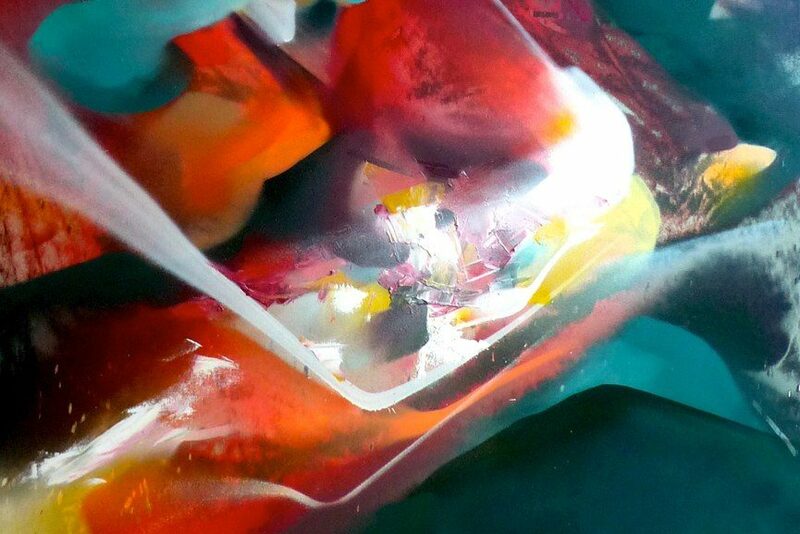 His art is inspired by numerous travels he has embarked on and the contact with other artists he met on the way. Influence of fashion is also noticeable in his works that often depict parts of mostly female apparel. Although he creates artworks in various graffiti styles, writing still remains CREN’s biggest passion. The art-maker sees the act of writing beyond its functional role and aims to encourage the viewers to carefully study the art of lettering. He usually begins his artistic process by depicting individual letters and by modifying them to develop his complex compositions. CREN then merges these letters with expressionistic or figurative graphic elements to create an abstract effect that will conceal the shape of the letters and force the viewers to carefully study the artwork in order to understand it fully. 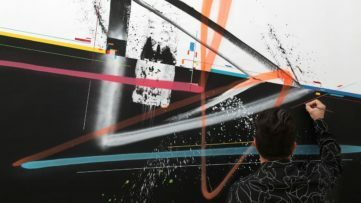 French artist Nadib Bandi is known for his immersive abstract artworks done in a variety of art forms including paintings, frescoes, drawings, and installations. The artist who has been decorating the streets since the mid-90s has developed a unique abstract style that simultaneously seems chaotic and extremely well balanced. By skilfully mixing various colors and shapes the artist manages to create an illusion of staring into a portal that draws the viewers into a new dimension. The exhibition Duo Contemporarian Urbain #1 will open on November 10th and will last until December 17th, 2016. By juxtaposing diverse graffiti styles and genres, this duo powerfully showcases the versatility of graffiti as an art movement. The exhibition at Galerie Francis Noel will be the perfect time to introduce yourself to the body of work by these exceptional graffiti artists but also meet the artists themselves since both Michel Pietsch CREN and Nadib Bandi will be attending the exhibition launch that’s scheduled for November 12th at 6 pm at Galerie Francis Noel in Liege, Belgium.